Aspiring MUA’s & MUE’s | Building a BOSS Makeup Kit Part 1: Makeup to Buy! Hello MUA’s and MUE’s (Makeup Enthusiasts)! I’m dropping all kinds of info on y’all today! FIRST YOU MUST APPLY FOR A NAIMIES DISCOUNT MEMBERSHIP! Its the easiest one to become approved for. PLUS it will get you 40% OFF some of your favorites like; MAKE UP FOR EVER, Lime Crime, Bobby Brown, Cover FX, GlamCor Lighting (YUP) and MORE!!! Who Loves you? Ahhh…look at this beautiful pile of makeup mess. This is the aftermath of a serious beat! This week happens to be pretty slow client wise, so I thought it would be great to catch up on some blogging. Those who are new to my blog, I’m a Professional Makeup Artist based in Atlanta, and I love to blog….when I can. I’ have yet to master the art of balancing Motherhood (I have 2 boys 1 & 3 years of age), Married Life, many other things in between, and doing this makeup thaaang full time! But I will….trust me. I will. Any-who, you’re here! I assume by clicking on this post you aspire to enter the world of Make-up Artistry! COOL. Many of the questions/emails I receive are all about How to get started/ Kit building. I’m going to do a series of posts of sharing with you a few ways to expand your kit for less money. Trust me I know that in the beginning it’s tough! Your clients are you siblings, best friends and cousins, so its hard to put out so much money on makeup when you’re charging a low (beginners) fee. That’s if you’re even charging at all. Here are a few questions you may have, that I’ll be answering; “What should I buy?” “How much should I buy?” “Does everything have to be name brand?” All Items recommended I have purchased or used myself. No need to ask if its worth what ever price, the answer is YES if its suggested. Take a look at your budget and build your kit accordingly. Do note that my makeup kit took me 2 years to build, and I’m still adding new things. Though I’m providing a number options, you don’t have to buy everything at one time. Pick on from each category and together it will make one great starter kit. I apologize for the length in advance. In future posts, I will go more into depth about some of my favorite products here and the proper ways to use them. I understand that many of you are working with a budget. Some more and some less than others. So here is what I’m going to do. For each item I suggest, I will provide a pricy item and a budget friendly options. Some people like to buy name brand and that’s completely fine. I just want everyone on any budget to be able to put together a stellar kit. That with that right skill, can produce a flawless face. The skill is something else that you will build over time. Keep practicing! Before I even begin suggesting makeup we have to talk about skin first. You can have the best/most expensive products in the world, and it would mean nothing if the foundation (SKIN) is not moisturized or primed properly. Here are products I recommend to prep the skin. 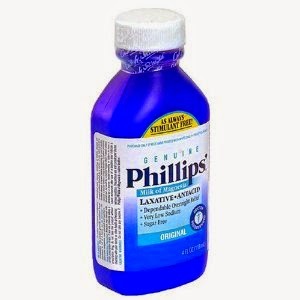 Of course you’ve heard of people using milk of magnesia (a laxative) to prime the skin. It works! As a matter of fact, most clients ask for it. Just be sure to pour some into a travel size bottle to place in your kit. It’s just weird placing a laxative in its original packaging with the rest of your makeup. You can find it at any drug or grocery stores from $4-$7! Also, be sure to apply to well moisturized skin. The eyebrows frame the face so its important that they are filled in correctly and with the correct shade. Here are some product options to help you achieve the perfect brow. Dark Circles, Scaring, discoloration, tattoo cover ups, etc. These concealers will give you the ultimate coverage. As far as pricing, concealer can be up there with foundation, but here I’ve provided you with less expensive options that are just as great. Remember…this post is for beginning/ aspiring makeup artists! When it comes to foundation, I do believe that price and quality matters most. Somethings you just should not cut corners and foundation is one of those things. 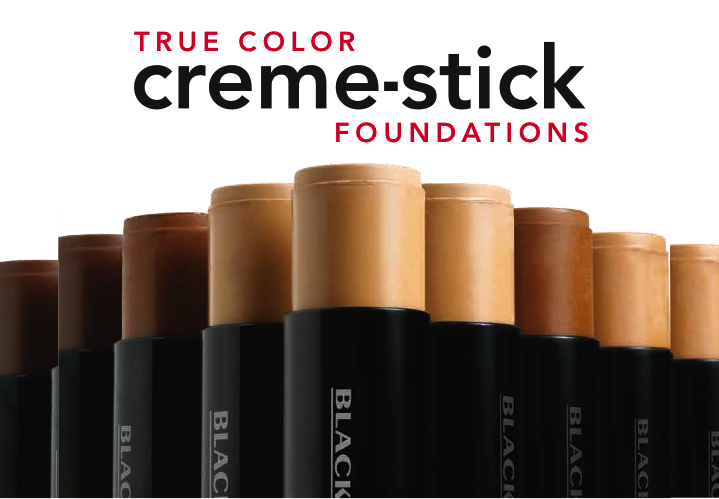 Luckily for you, here are some great foundation options for every budget! Until you have the budget to purchase every shade, start off purchasing three of the lightest colors and three of the darker color. This way you’ll learn mixing. If you pick correctly, you should be able to make any shade. No matter how dark or how light. 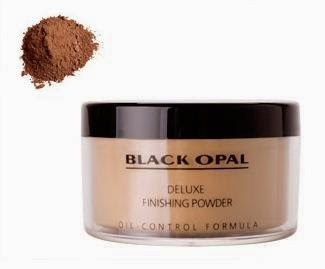 As the great Sam Fine says “Powder is to foundation, what top coat is to nail polish!” I swear when I saw him during that segment on Queen Latifah’s show I soaked up as much as possible. Setting your makeup is very important. Not doing so can leave your client with a messy finish. Here are some of my favorite pressed powders (mainly used to set foundation) and loose powders (mainly used to set concealer). Ok so these are items that you need multiple shades of. I’m going to provide you with one option in the department because its such a good deal for those of you new to makeup. Its affordable, great quality, and you receive a wide range of colors. Without breaking the bank… or these down below. 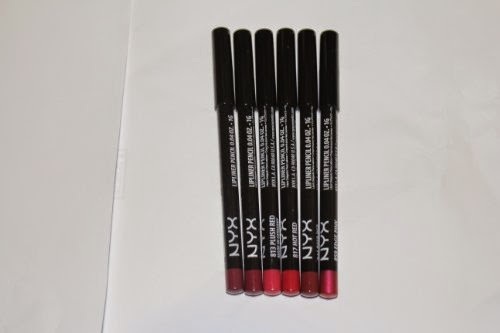 NYX Lip Liners deal on AMAZON! If you purchase both sets suggested below, you’ll receive 12 lip liners! On set is $16.50…about the same price as (1) MAC Lip Pencil!!! If you haven’t had a chance to try these, they are amazing. with the color provided in the set, you should be able to pull of any kind of lip you want. Oh, it is missing something. A clear gloss…that’s it. Once again, don’t get caught up in all the name brand stuff. 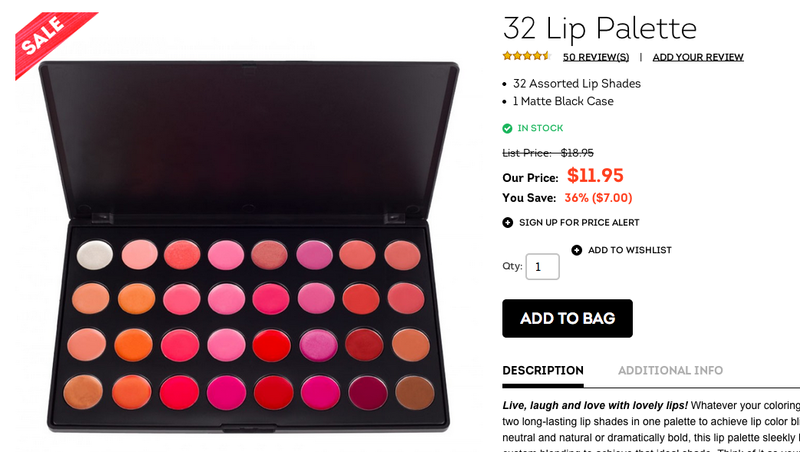 So many cheap lipstick palettes out there that are great. Here are my picks. I’ve used them, I loved them. You’re kit will grow with you…so take your time. 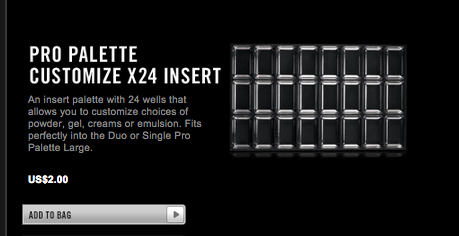 If you can afford it, these MAC Lip Palettes are Wonderful! This is a great lip palette. The colors are very pigmented. Only con is there are no matte colors. 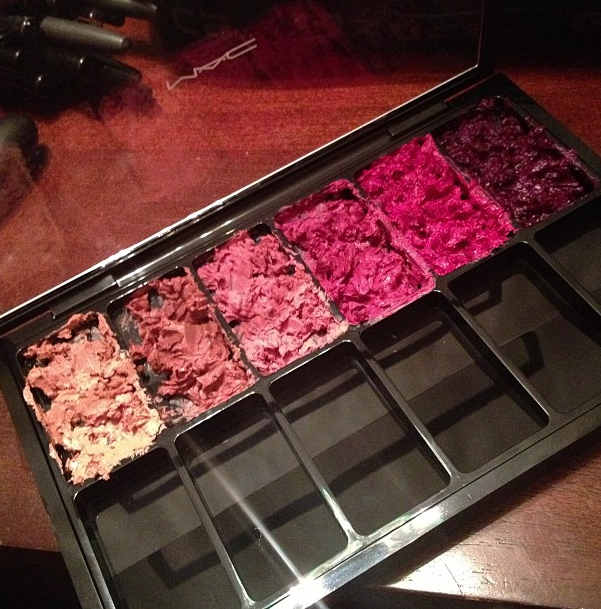 Or you can purchase a empty M.A.C palette/ insert, depot them and make your own makeup palette. 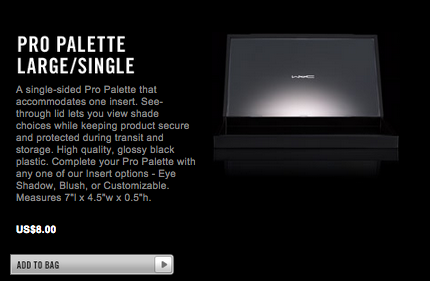 This way you can choose whatever colors you want and add mattes to the mix. 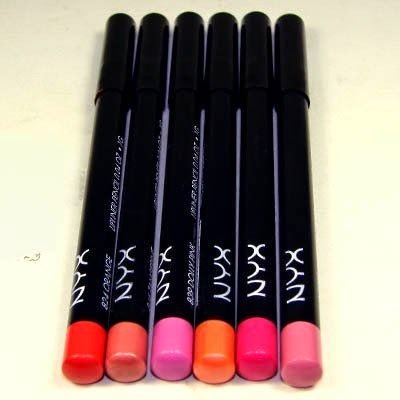 Here are some great affordable lippies you can depot. Here’s mine that I was making last year. I have lippies in here from MAC, Auraline Beauty, Wet n’ Wild, and more. AND THAT’S ALL I have for you today! Gosh, this post is a lot longer than I planned. I hope it’s making sense and helped someone out there feels better about building a kit. Once again, your kit will grow with you. As you grow as an artist, and as your clientele grows. With the Items suggested here you will have what you need to produce a flawless face. I know what you’re thinking! “What about BRUSHES and TOOLS?” Well, that will be discussed in Part 2! I’ll be sharing links to where I get the best brush sets over sea’s for under $20. I’ve found the best Beauty Blender, Real Technique, Sigma Beauty Dupes and MORE!! !